Posted March 4th, 2013 by What The Feis & filed under Feis Reviews, Lavin Cassidy Feis, Wisconsin Feis. A SPECIAL THANKS to a Feis Mom (who asked to remain anonymous) who volunteered to do a write-up for this feis. THANKS! The Lavin Cassidy Feis was held on March 2, 2013 at the Grand Geneva, Lake Geneva, WI. Posted October 14th, 2012 by What The Feis & filed under Feis Reviews, Gem City Feis, Ohio Feis. The Gem City Feis was held on October 13th, 2012 at the Dayton Airport Expo Center in Vandalia, OH. What is it with these airport feises lately? Posted September 17th, 2012 by What The Feis & filed under Feis Reviews, Michigan (Muskegon) Feis, Michigan Feis. 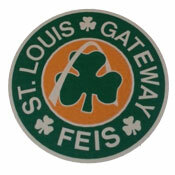 Posted August 25th, 2012 by What The Feis & filed under Feis Reviews, Missouri Feis, St Louis Gateway Feis. Posted August 20th, 2012 by What The Feis & filed under Feis Reviews, Great Lakes Feis, Michigan Feis. Posted July 15th, 2012 by What The Feis & filed under Clan na nGael Summer Feis, Feis Reviews, Ohio Feis.